Get expert guidance on patternsâ€”simple, proven mechanisms by which software professionals can share important architectural tradeoffs and design decisionsâ€”and help reduce the complexity of building high-performance, enterprise-class business solutions. 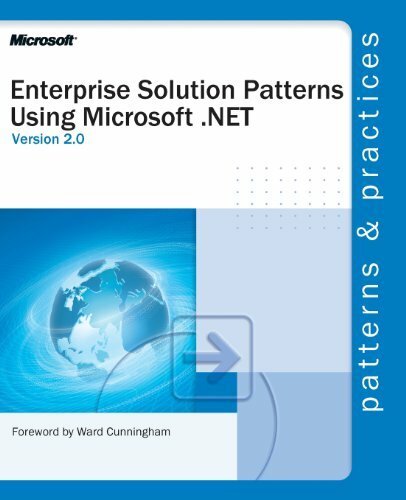 Focusing on architectural, design, and implementation patterns for Microsoft .NET, this guide captures the knowledge of seasoned developers and shares their time-tested patterns and best practices. Developers and architects learn how to use individual patterns for specific technical scenarios, as well as how to combine patterns to build more complex solutions. All PATTERNS & PRACTICES guides are reviewed and approved by Microsoft engineering teams, consultants, partners, and customersâ€”delivering accurate, real-world information thatâ€™s been technically validated and tested. If you have any questions about this product by Microsoft Press, contact us by completing and submitting the form below. If you are looking for a specif part number, please include it with your message.